1st day: Arrival to Cusco and transfer to your Hotel. 2nd day: Walking Tour in Cusco and hotel night. 4th day: Santa Maria town to Santa Teresa town, hiking and thermal baths. 5th day: Santa Teresa town to Machupicchu, hiking, zip lining and hotel night. 7th day: Transfer to the airport. 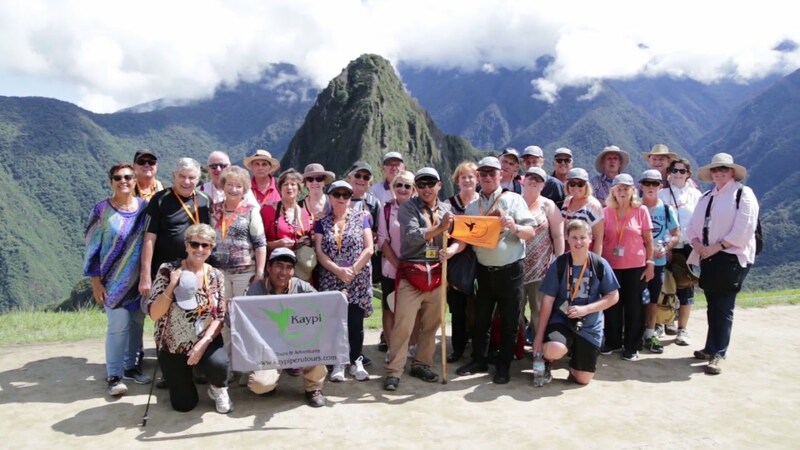 After your arrival to Lima, you need to take your conecting flight from Lima to Cusco and once you land into Cusco a Kaypi Peru tours representative will welcome you at the airport and transfer you to the hotel. Day 2: Walking City Tour in Cusco! After breakfast at the hotel we will pick you up around 9:00 am to start with our walking tour and visit the principal areas and attractions of Cusco City. Koricancha, the templo of the Sun . Day 3: Cusco to Santa Maria town, biking and rafting. Our transportation will pick you up around 8:00 am (Time to be reconfirmed) After 2hr. aprox. We will arrive at the Abra Malaga (4350 mt.). In this point of departure with the bikes and begin the Inca Jungle, we will descend for 3 hrs., passing through small villages, orchards, rivers and streams, reaching the town Huamanmarca around 1:30 pm. Aprox. Then our private bus will take the group for 30 min. to the town of Santa Maria, where we will have lunch. We got up around 7:00 a.m. to enjoy a typical breakfast in the middle of nature, then we start the walking along the banks of the river and start climbing for 30 min. approx. part of this trek will go through the original Inca trail. On our way we will see small coffee plantations, fruit trees, among others. The area is surrounded by many types of birds and orchids; this ecosystem belongs to the high forest and is one of the richest in terms of biodiversity of the Inca jungle. Once on top we will see the whole valley of the lower Urubamba. The group will walk down the mountain for 2.30 hrs. approx. until arriving at the village of Qellomayo, to have the meal. After a break we continue walking for 3 hrs. Crossing farms, waterfalls and rivers until arriving at the hot water springs of Santa Teresa, and after a relaxing bath, the group will continue walking for 40 min. until reaching the town of Santa Teresa to sleep in one of the rural lodges. Day 5: Santa Teresa town to Machupicchu, hiking, zip lining. Around 7 Am., after a typical breakfast we will get ready to continue exploring the roads that were followed by the first expeditionary that discovered Machu Pichu and other important archaeological complex. The next journey will start in Santa Teresa with the zip line (and later this group will be taken by bus to the area known as the hydroelectric), after that, we will have a typical lunch and after an other 3 hours hike we will get Aguas Calientes or Machupicchu town to spend the night in our 3 star hotel. Day 6: Machupicchu tour and train back to Cusco. We will have breakfast at 5:00 am and then catch a 25 minute bus ride, at approximately 5:30 am to Machu Picchu, in order to appreciate the magnificent city as the sun rises. A walking tour, approximately 2 hours, is given by your guide and after this you can explore the mysterious city by yourself. You will meet your guide in Aguas Calientes, it can be reached by bus or on foot, for lunch and to receive your train tickets back to Cusco. You will spend the night in the hotel. Double-Occupancy in a three-star hotel, during 2 nights in Cusco. 1 night in Sacred Valley. 2 nights in rural houses. Meals on the Inca Jungle (2 Breakfasts, 3 Lunches and 3 Dinners). If you have a dietary request such as vegetarian foods please let us know. Rafting and all its equipment.